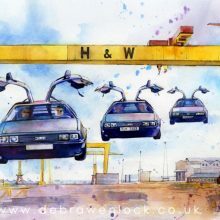 ﻿ Debra Wenlock Art - DeLorean Prints - "Back to Belfast"
This DeLorean watercolour came about in honour of the first reunion of DeLorean Motor Company former factory employees, in 2015… Those guys that built these iconic motors in Belfast back in the early 1980s. 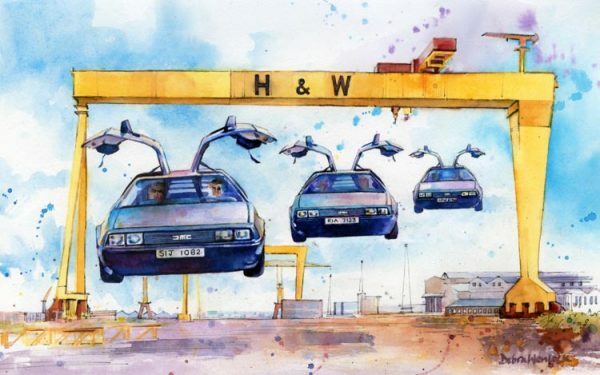 And, as it is also the year that celebrates the 30th anniversary of the film “Back to the Future” which features a time-travelling DMC car, my imagination summoned up three magical DeLoreans flying “Back to Belfast” via the shipyard and Belfast’s most eye-catching landmark. Just for fun! 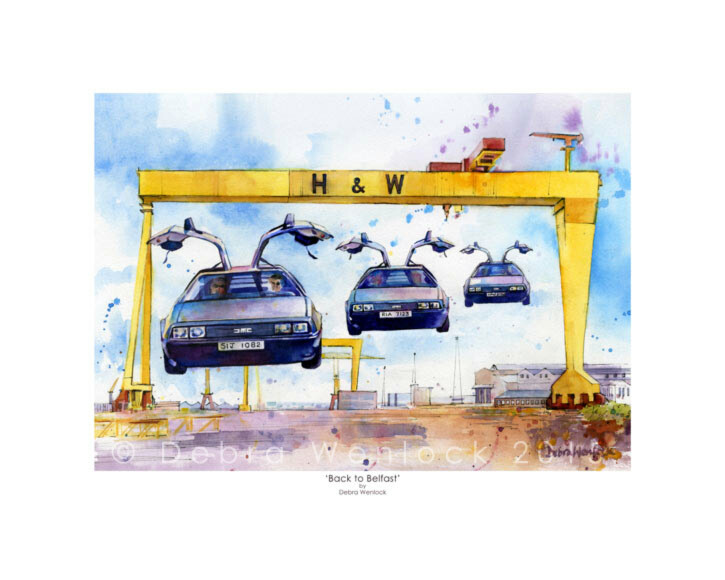 “Back to Belfast” Limited Edition DeLorean Prints are now available for £65 each – including complimentary UK delivery. 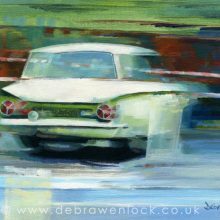 I can customise the registration plate of the leading car – so if you would like to feature your own number click here for more details! 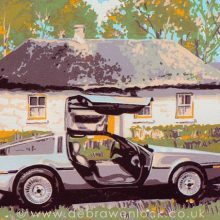 Carefully reproduced from my original painting, each print is individually approved, signed and numbered – a very limited edition of 250 prints only.